Many congratulations to the many Year 7 students who met their Progress Leader’s challenge for this half-term – 100% attendance! 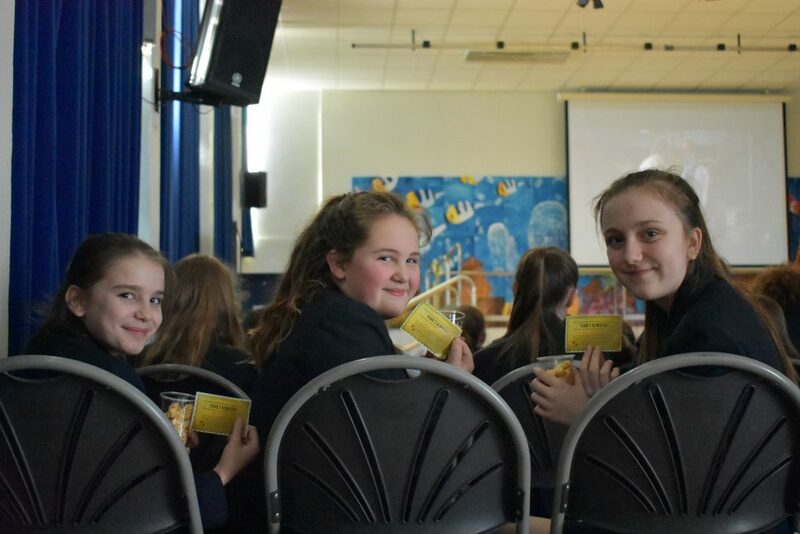 Mrs Hepke gave all her 100 percenters Golden tickets at her morning assembly for them to spend a special afternoon off timetable when they were treated with a film, accompanied by some popcorn. Betty, Mia and Isabel are pictured here enjoying their afternoon, well done to everyone!